2. Letter from the Commissioner of Intermediate Education,A.P, Guntur, Lr.Rc.No.Ser.II-2/632/2017, dt:08.03.2018. In the reference 2nd read above, the Commissioner of Intermediate Education, A.P. Guntur has submitted proposals for extension of renewed services to the Contract Junior Lecturers working in Government Junior Colleges for the academic year 2018-19, as there is a large number of vacancies are arising due to retirement of regular Junior Lecturers in Government Junior Colleges in the State and there is no recruitment has taken up. Government sanctioning new Government Junior Colleges without sanction of teaching posts, these colleges are functioning with available Contract Faculty. The Contract Faculty are being engaged Government Junior Colleges to meet educational needs which lack of regular Junior Lecturers. The poor students studying in Government Junior College’s will suffer a lot even when lack Contract Faculty. She therefore requested to issue orders for renewal of 3802 Contract Faculty (3672+130) working in Government Junior Colleges in the State from the date of reopening of the colleges to till last working day of the academic year 2018-19. 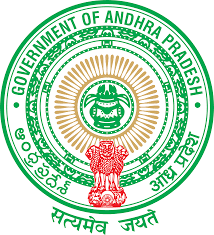 Government, after careful examination of the above proposal herebyaccord permission to the Commissioner of Intermediate Education, AP, Gunturto renew the contract faculty (3672+130) working in Government JuniorColleges in Andhra Pradesh State from beginning of academic year of thecolleges to till last working day of the academic year 2018-19, or till regular recruitment is done, whichever is earlier, subject to existing terms and conditions. The Commissioner of Intermediate Education, AP, Guntur shall take necessary action in the matter accordingly. This orders issues with the concurrence of Finance (HR.II) Department vide their U.O.No.31025/54/HR.II/2018, dated 30-5-2018.